Most of my past articles and my just-released new book titled, Lights On, drive home the importance of having multiple battery-powered devices during an extended power outage. I also keep reminding everyone that having a generator during a power outage is great, at least until you run out of fuel. Whether you are without power from the start of a utility outage due to not owning a generator, or you are well into an extended power outage but ran out of fuel, the results will be the same unless you own battery-powered devices. There are many battery-powered devices that will make life easier and continue to operate during an extended power outage, but there are four specific battery-powered devices that everyone should have. Of course lighting is our primary concern, but I am not talking about having a flashlight. A flashlight is handy to illuminate a small area directly in front of you, assuming you have batteries. However, during an extended power outage you need room-filling lights, at least in the room or rooms where most of the family will be congregating. I recommend having several of the new LED hanging lanterns. Before the next power outage you can install a hook next to each existing ceiling light fixture where emergency lighting will be needed to hang each LED lantern. I recommend selecting a model powered by AA or C size batteries and make sure they include a large clear lens around the LED lamps and a mirrored reflector that distributes the light in all directions. Digital multi-battery chargers can operate from grid, generator, or solar power. 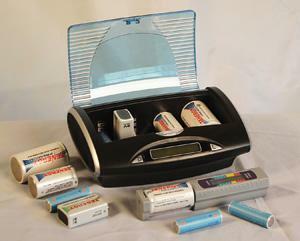 There are several models that use recharging batteries and include a solar charger built into the top. This of course will require moving the lantern outside in the sun every day to fully recharge. If you plan ahead and don’t just buy your emergency supplies the day before a hurricane is forecast, you can always stock up with lots of standard batteries if you are still avoiding the switch to rechargeable batteries. If you limit the lantern’s operation to four hours each evening, some LED lanterns will operate up to a week before needing a battery replacement. 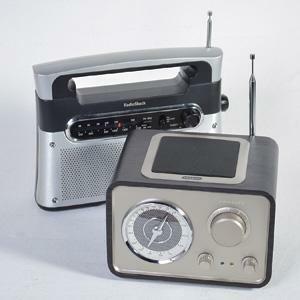 My next battery-powered device recommendation is a quality battery-powered AM/FM radio, preferably one that can also receive the national emergency weather band. While a small hand-held radio will run much longer on a smaller battery, I suggest looking for one of the larger tabletop size battery-powered radios that operates on C size batteries. Most models will provide up to a week of operation if limited to one hour of operation each morning and two hours each evening, which should be enough to keep you updated on both local and national news. 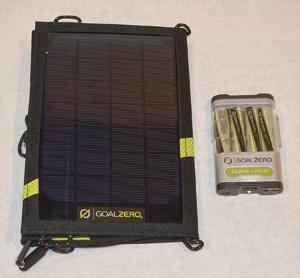 My third battery-powered device recommendation is a rechargeable battery pack and a fold-up solar charger to keep your cell phone or iPad fully charged each day. These compact battery-packs have standard USB ports for easy connection. For example, the RAVpower 26,800 mAh lithium battery pack can recharge an iPhone nine times before needing to be recharged itself using grid, generator, or solar power. If you do decide to switch over to rechargeable batteries, the most popular rechargeable battery is the nickel-metal hydride NiMH AA and C size batteries. Obviously, if you want to be able to recharge all of your electronic devices using solar, you first have to replace all of the non-rechargeable batteries with rechargeable batteries. Just my two handheld CB walkie-talkies require nine AA batteries each, my portable shortwave radio requires six AA batteries, so you need to purchase more than you might expect. Of course, when the grid is down and your generator is out of fuel, you still need a way to charge these small battery-powered devices. There are now fold-up solar modules in the 7- to 25-watt range that are perfect for this charging job and their costs have dropped significantly since first offered several years ago. 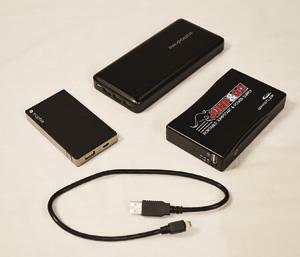 Most of the smaller size modules have a 5 volt DC USB style charging port for easily connecting to cell phones and smaller electronic devices. However, most higher wattage fold-up modules supply 12-volt DC for charging larger battery-powered devices, and some models also have both a 5 volt USB charging outlet and a 12-volt charging outlet. If you want to stick with only AA size rechargeable batteries and don’t want to buy a charger capable of also charging the larger C size batteries, you can now buy “spacers” that are the exact size and shape of a C size battery. However, the center is hollow and will hold a fully-charged AA size battery. Although the smaller AA batteries will not hold the same charge as the larger C size battery, this will simplify your battery charging operation by standardizing on only one size of battery. When it comes to charging large numbers of AA and C size batteries, I am not talking about the battery chargers typically sold for recharging a single battery-powered device. For multiple battery charging my fourth recommendation is the new digital battery chargers capable of recharging 4 to 12 batteries at the same time. As soon as one or more batteries are inserted, these chargers first run a diagnostic test on each battery individually to identify the battery type and its current state of charge. The charger then selects the best charging procedure which could be different for each battery. The better quality chargers also include temperature sensing to make sure a battery is not overheating due to a faster-than-recommended charging rate. When shopping for a multi-battery charger, make sure to select the model and brand that comes with both a 120-volt AC cable and a 12-volt DC cable for in-vehicle charging. This will easily allow recharging using the utility grid or generator when available, and the 12-volt outlet in your car or truck. The 12-volt DC cable will also allow powering the charger using a fold-up solar module having both USB and 12-volt DC charging output. With the right cables and output voltage this could be the same fold-up solar module described earlier used to keep your cell phone charged. 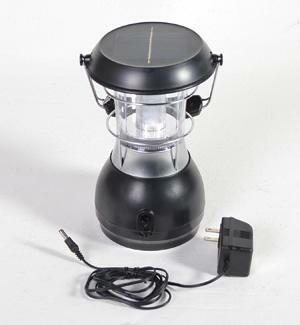 Of course there are many more battery-powered devices that could make your life easier during an extended power outage, but these above devices are a great starting point, and these can go with you if you do need to bug out. Check out my new book, Lights On, for more information on battery-powered living during extended power outages.